The plummeting price of oil on international markets has had many effects – one of which is that it may be cheaper for ships to travel right around Africa than go through the Suez Canal. The Suez Canal was one of the most significant engineering projects of the 19th Century. It was a gargantuan task that took nearly 20 years to build and an estimated 1.5 million workers took part – with many thousands dying in the process. But when it finally opened in 1869, ships could travel from the Red Sea – between Africa and Asia – to the Mediterranean, cutting weeks off a journey. It was a revolution for trade. Ever since, passage through the canal has been considered more or less vital to global business. Shipping firms pay what amounts to several billion dollars every year to the Suez Canal Authority, an Egyptian state-owned entity, for the privilege of travelling via the canal. To take an example, it cuts a modern journey from Singapore to Rotterdam in the Netherlands by nearly 3,500 nautical miles (6,480km) – saving vessel owners lots of time and lots of money. However, more and more some ships are deciding not to take the Suez route. Instead, they are travelling around the Cape of Good Hope, right at the southern tip of Africa. Over 100 ships did this between late October 2015 and the end of the year. “I’ve been covering shipping for the last eight years,” says Michelle Wiese Bockmann, from oil industry analysis firm OPIS Tanker Tracker. “It is very rare to see this volume going round the Cape.” Right now, she’s keeping tabs on half a dozen diesel and jet fuel-carrying ships on this very route. One of the big factors here, explains Bockmann, is the low price of oil. This means that “bunker fuel” – the thick, heavy fuel the ships themselves run on – is currently very cheap. Indeed, Singapore prices for such fuel have fallen from around $400 (£286) per metric ton in May 2015 to around $150 (£107) today. As a result, sea journeys aren’t as costly as they have been in recent years. But is there any sense in taking longer than you need to? Ship manufacturer Maersk estimates that a vessel travelling at 13.5 knots will take an extra 11 days to go via the Cape. Why bother? For one thing, there are steep fees for using the Suez Canal – Maersk says these can be approximately $350,000 (£249,000) per ship. There are other costs, too. Rose George, author of Deep Sea and Foreign Going, was on board a ship using the Canal a few years ago. She notes that vessels must agree to taking on a Suez crew for the transit. These irritations aside, there is also the tricky economics of oil and shipping markets. For one thing, at the moment traders are playing with what’s called a “contango” – more and more oil and refined oil products are being kept at sea or in storage as traders wait for prices to rise again. Currently there is an oversupply of crude oil around the world, and while we have more crude than we need, the demand for gasoline – a refined oil product – is quite high. This situation has led to volatility in the market and that’s where traders are making their money, says Bockmann. “One of the trading strategies would be that they haven’t sold the cargo and they need additional time,” she points out. She also adds that ships can sometimes be anchored offshore – a situation known as “floating storage” where they simply wait for the market to favour what they have on board. “Floating storage hit a five-year record in December and it hasn’t really dropped that much since then,” Bockmann says. For ship owners, then, the ball seems to be mostly in their court. They can choose to be at sea longer in certain cases and they can take longer routes, even shopping unsold cargo round various ports in Asia, Africa and Europe, in an attempt to find the right buyer at the right time. The ships must be the right size for a given port, and the products on board need to meet required standards in the local market – but as long as someone suitable does, eventually, buy that cargo at a favourable price, then the traders will do well. If not, they could lose money. For now some ships have decided to take those additional thousands of miles round the Cape, hoping that at the end of the voyage they’ll come out in profit. It may seem strange – but in the world of oil, sometimes you’re better off taking the long way round. 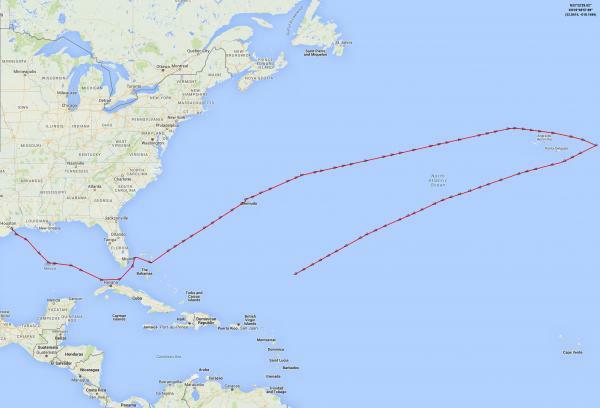 Back on November 12th, Zero Hedge told us about something very strange that was taking place off of the coast of Galveston, Texas with a 2-mile long line of tankers full of crude oil heading from Iraq to the US and what was being called 'a gargantuan glut' as stockpiles keep rising around the world. In the latest sign that the world is simply running out of capacity when it comes to coping with an inexorable supply of commodities, three diesel tankers en route from the Gulf to Europe did something rather odd on Wednesday: they stopped, turned around in the middle of the ocean, and headed back the way they came! 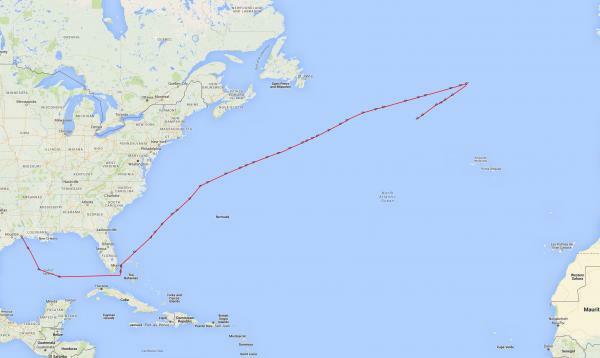 "At least three 37,000 tonne tankers - Vendome Street, Atlantic Star and Atlantic Titan - have made U-turns in the Atlantic ocean in recent days and are now heading back west," Reuters reported, citing its own tracking data. The problem: low prices, no storage capacity, and soft demand. With more than a full days worth of global oil supply now stuck in limbo and the price of oil continuing to plummet, we need to look back at previous warnings that have been given by experts, including Russian President Vladimir Putin, of what signs we need to watch out for of impending doom in the financial markets and in this week alone, we've seen two of them come to fruition before our very eyes. With the price of crude currently sitting at $34.97 a barrel, we saw another sign of imminent financial doom this week in Janet Yellin's raising of the interest rate at the FED. 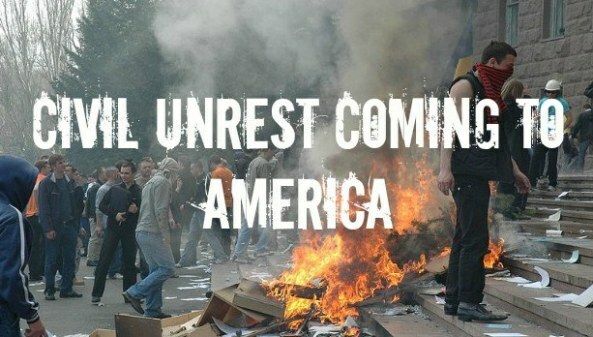 We've also reported several times that a rise in the interest rates would likely be a signal to the rest of the nwo scum that all hell is preparing to break loose with a series of devastating events leading to the collapse of the big banks and the coming death of money. If you think this is just fear mongering, you’re mistaken. The Treasury Dept. issued emergency kits to employees a few months ago in anticipation of systemic volatility during the rate hike. Similarly, the Fed boosted the size of its market operations department in Chicago case the NY Fed loses control of the system when rates increase. In short, we could very well be on the eve of another systemic crisis. The financial elites have been preparing for this for months.This is what the elites have been preparing for, all those indicators of buying up "remote hideouts, and the "panicked super-rich arranging bolt holes with private airstrips" to escape social unrest that will follow a complete crash. 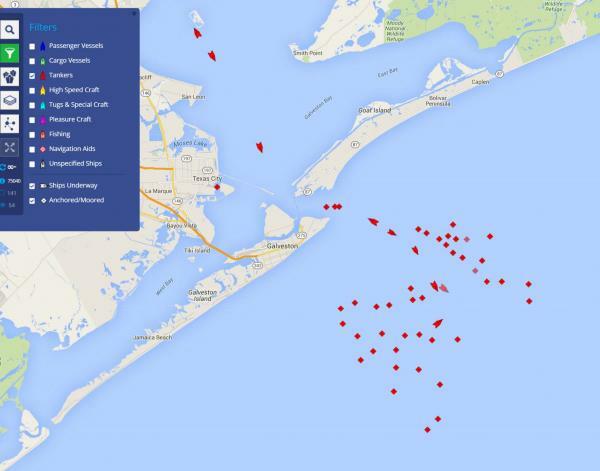 Back in November, the logjam off of the coast of Texas left 40 tankers with a combined capacity of 28.4 million barrels of oil just waiting to anchor as seen in the photograph below showing off of the coast of Texas. As we were told by back in late 2014 by Putin, the price of oil falling below $40 a gallon was a sign that the bottom was getting ready to drop out. In the 1st video below, Dave with the X22Report tells us why the FED rate hike will likely lead to the next phase of the economic collapse while in the 2nd video, Peter Schiff tells us Janet Yellin gets nuts. 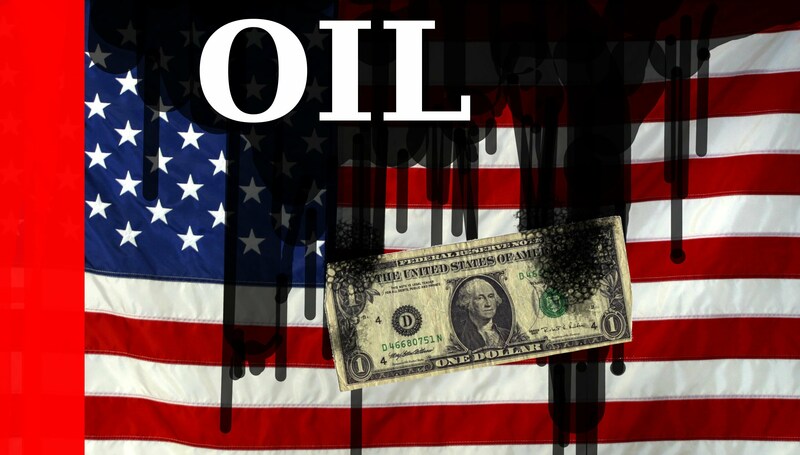 The 3rd video is the previous warning from back in January 2015 that if oil fell to below $40 a barrel, there would be terrifying consequences for the world. With oil now more than $5 a barrel below $40, we have to ask, have we now reached that point in time previously warned of by Putin and others? Is $20 oil coming as suggested in the final video from Crush The Street and would that lead to the break in gold and silver as they suggest here? 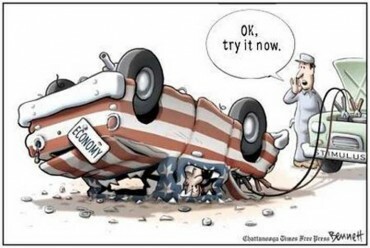 With the plunge protection team in continuous use in America attempting to magically prop up our economy and stock markets , we realize they could drag this on for a long time - however, doing so would not allow them to stick their 'new world order' beast system into place. We fully expect this broken system is running out of time. The charts above videos, at the top of the story and below are courtesy of Marine Traffic. Below is the path of Atlantic Titan. Comments by Steve,author of this website: Are the 4 horsemen of the Apocalypse about to ride forth? See the Book of Revelations in the Bible Chapter 6. The above picture is obviously intended to be the infamous GRIM REAPER or the 4th and 5th HORSEMEN also know and personified as "DEATH" & "HELL"
REV.6:8 So I looked, and behold, a pale horse. And the name of him who sat on it was Death, and Hades followed with him. And power was given to them over a fourth of the earth, to kill with sword, with hunger, with death, and by the beasts of the earth. According to the excellent article above, on the KINGWORLDNEWS.COM, allegedly there will most definitely be the world's worst financial CRASH IN HISTORY coming this AUTUMN! All financial signs point to it! God help us all, if this turns out to be true! Mannarino asserts that it is a mathematical certainty, using China's latest actions as an example, that when a government or central bank attempt to "prop up" or "fix" a market using artificial means, it is doomed to fail. The worst part of all this is the global debt crisis, of which we are in right now, also cannot be fixed by any intervention of central banks colluding with their governments. Further, a terrible price is going to be forced upon the citizenry of the world because of this action. The only job of the markets is to determine fair market value, and when governing bodies of any kind attempt to interfere with that mechanism only disaster will come from it. In March 2015 John Crudele of NY Post reported "Stock market rigging is no longer a ‘conspiracy theory’," as he quoted Ed Yardeni, a longtime Wall Street guru "who isn’t one of the clowns of the bunch," as stating "“These markets are all rigged, and I don’t say that critically. I just say that factually,” he asserted on CNBC. The "horrible" thing that is coming according to Mannarino is a "global financial meltdown." Three more articles should be read to understand it is not just Mannarino, but others are seeing the same train bearing down on the global markets. First, American economist, Paul Craig Roberts, who served as an Assistant Secretary of the Treasury for Economic Policy in the Reagan administration, explained back in December 2014 that "Financial Market Manipulation Is The New Trend," asking if it can continue. Then we move to The Economic Collapse website on which points to the DOW's 500 point plunge last week and stating "It was the biggest one week decline that we have seen so far in 2015, and some are suggesting that this could only be just the beginning." 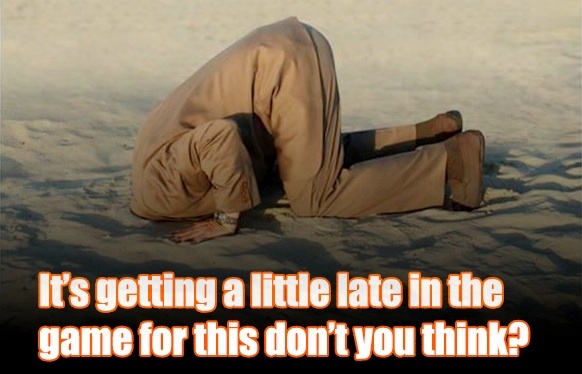 Last but not least on July 27, 2015, Zero Hedge discusses the "Irony of Market Manipulation." The bottom line is the Federal Reserve and governments globally are running of ways to rig and manipulate the market, they are approaching a brick wall and when they hit it everything is going to come crashing down on our heads. Egon von Greyerz: “Eric, the outcome for Greece could not have been worse, but it was totally predictable as we discussed last week. 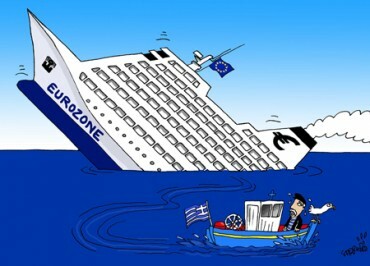 The troika will now grab a major part of Greece’s assets, and the banks will be controlled by the EU and the ECB…. “There will also be massive austerity measures, which will guarantee that Greece has no chance of surviving economically because it will experience a vicious cycle of falling revenues, falling GDP and higher deficits. This will also mean another huge decline in the country's standard of living. As history is written in the future, I believe that what has now happened to Greece will be seen as a reason for an implosion of the financial system that the world will experience in coming years. But just as the shot in Sarajevo in 1914 was not the real reason for World War I, Greece will not be the cause of the destruction of the world economy as we know it today. Regardless, starting in the autumn of 2015 we will see the dominoes beginning to fall around the world. The dilemma is that the Social Security safety net that people in the West have been used to will disappear. Governments and central banks will not sit idly by while this is happening. We will see the most the most enormous money printing programs by the Fed, ECB, IMF, Bank of Japan and many other central banks. Eventually the total money printing will be in the hundreds of trillions and possibly even quadrillions of dollars. That will be the final phase of taking the value of today’s paper money to its intrinsic value, which is zero. Virtually all paper currencies are already down 97 – 99 percent against gold in the last 100 years since the Fed was founded. So there is only 2 – 3 percent left that has yet to disappear. Meanwhile, gold is finishing its four-year correction since the 2011 high. And since the July low, gold has just consolidated along the bottom. Gold’s weakness has really just been the function of a stronger dollar. In spite of being the most indebted country in the world and despite running deficits for over half a century, the dollar has strengthened temporarily in this final race to the bottom in all global fiat currencies. So it's primarily in dollars that the gold price is weak. In euros, yen and Australian dollars, for example, gold is up over 20 percent in the last couple of years. And even more so against weak currencies such as the ruble. In coming months and years it will be absolutely critical to hold physical gold outside of the banking system. As the economic problems around the world continue to deteriorate, gold will resume its uptrend in all currencies, including the U.S. dollar. And as money printing accelerates, the value of paper money will evaporate while gold will skyrocket in price. The Greek crisis is proof of how important it is to hold a substantial amount of gold outside the banking system. The Greek banks almost collapsed, but because Greece is a relatively small country, its banking system was saved in the short term. But as the problems in the world economy and the financial system worsen, we will see bail-ins of depositors' money in most countries. With people around the world worried about the escalating crisis in Greece and conflicts in the Middle East and Ukraine, today former U.S. Treasury official, Dr. Paul Craig Roberts, warned King World News that the fate of the entire world is about to be decided. July 3 – According to history books, democracy originated in Greece. Of course, historians could be mistaken, but this is the prevailing view among Western populations with enough awareness to be interested to know. 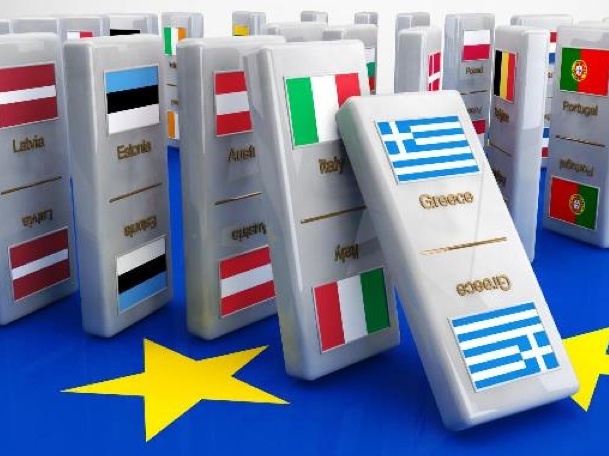 What we are witnessing today, July 2, 2015, is that after 2,500 years in the Western World only the current Greek government is interested in democracy…. The Greek government, to the surprise and consternation of every other European government, has called a referendum for the Greek people to decide the fate of Greece. For resorting to democracy, the Greek government has been universally denounced in the Western World. So much for Western democracy. The greatest and most successful propaganda scam in history is the one that convinces the world that they are nobody if they are not part of The West, the indispensable peoples, the exceptional peoples. If you are not part of The West you are nobody, nonexistent, a nothing. 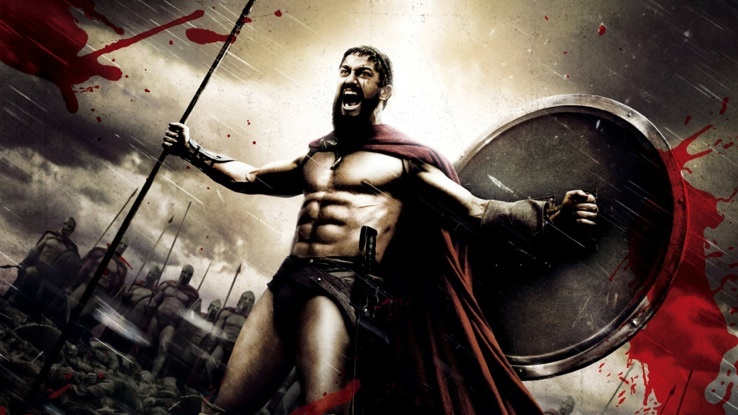 2,500 years ago Greeks saved their independence from the Persian Empire. Sunday’s vote will tell us whether Greeks have again served liberty or whether they have succumbed to Washington’s Empire. The fate of all Europeans and of Americans themselves will be settled on Sunday. When it comes to the EU and its current fiscal turmoil, it is very important to, in some respects, ignore Greece entirely. That’s right; forget about all the supposed drama surrounding Greek debt obligations. Will they find a way to pay creditors? Will they default? Will they make a deal with Russia and the BRICS? Will there be last-minute concessions to save the system? It doesn’t matter. It’s all a soap opera, an elaborate Kabuki theater run by international financiers and globalists. We cannot forget that crisis is in itself a distraction as well. Whatever pain we do feel tomorrow, or the next day, or the next decade, remember who it was that caused it all: the international banks and their globalist political counterparts. No matter what happens, never be willing to accept a centralized system. No matter how reasonable or rational it might sound amid the terror of fiscal uncertainty, never give the beast what it wants. Over the last several months there have been numerous reports highlighting the frantic activities of the world’s ultra-wealthy elite. From the purchasing of emergency hideaways and airstrips to warnings from their financial advisors that it’s time to shift their assets into physical holdings, it appears that a lot of powerful people are afraid of a significant shift set to take place in the near future. In his latest interview with Future Money Trends Keith Neumeyer, who recently penned a very public (and very viral) letter to the Commodity Futures Trading Commissions outlining the rampant manipulation by concentrations of shadowy market players taking place on commodities exchanges, shares his insights on what many believe to be a coming global reset. It’s in the cards for sure. Predicting exactly what it’s going to mean or what it’s going to look like… that’s the big challenge… I think a lot of people are ignoring it… but there are some forward thinkers out there who talk about it. I think that the Chinese want their currency part of a floating currency… I think that’s really going to be the next leg in this whole change… in this reset going forward. It could even happen this year. When this reset comes to pass the manipulations so apparent in commodities and broader stock markets today will be exposed and, according to Neumeyer, may lead to the biggest surge in precious metals we have ever seen. Echoing the forecasts of one of the world’s leading trend strategists Gerald Celenete, Neumeyer notes that the monetary system that takes hold after a global reset could result in gold rising to $3000 an ounce or more. Such a move would have a similar impact on silver, which may stabilize at its historical silver-to-gold ratio of 16:1, putting its strike price somewhere above $150 an ounce. Right now, you’re mining 10 ounces of silver for every one ounce of gold. So gold is trading at… let’s say $1,200 just to round it up. So that would be $120 silver, if the ratio was 10-to-1. So I say silver should be $120. The other key ratio is the ratio that has been common for 500 years… Sir Isaac Newton came up with the ratio of 16-to-1 and that’s how they created the pound sterling. And so there was a theory that there was for every one ounce of gold, 16 ounces of silver in the earth’s crust. So using 16-to-1, at $1,200, it’s somewhere around $80-$90. Silver should be trading, in my view, somewhere from $80 to $120 an ounce. The prices Neumeyer cites are based on current trading levels, suggesting that silver is significantly under-priced already. Of course it would and that plays back to what I was saying earlier. I don’t know if China’s ready for that to happen, because once they do it gold will probably go up by multiples… hundreds and hundreds of dollars. I could see gold going up to $3,000 or some number like that. Who knows exactly… but I do believe that that would occur because the people would see the hoard that the Chinese have actually accumulated over the last decade and that would completely change the market. Countries like China and Russia are secretly accumulating massive stockpiles of gold and silver. Business and EconomyFurther, the ultra-wealthy have been warned in no uncertain terms by their advisors to do the same. If there were ever a tell-tale sign that a momentous set of events is soon to take place, this is it. Follow the money, which at this time just so happens to be shifting to physical assets of real value in anticipation of the next leg of the global reset. This report is taken, in part, from Keith Neumeyer’s latest interview at Future Money Trends. Despite record highs in the market, former Rep. Ron Paul says the Fed's easy money policies have left stocks and bonds are on the verge of a massive collapse. "I am utterly amazed at how the Federal Reserve can play havoc with the market," Paul said on CNBC's "Futures Now" referring to Thursday's surge in stocks. The S&P 500 closed less than 1 percent off its all-time high. "I look at it as being very unstable." In Paul's eyes, "the fallacy of economic planning" has created such a "horrendous bubble" in the bond market that it's only a matter of time before the bottom falls out. And when it does, it will lead to "stock market chaos." As far as when the bubble will burst, the former Republican presidential candidate said, "I don't think there's any way to know what the [timeline] is, but after 35 years of a gigantic bull market in bonds, [the Fed] cannot reverse history and they cannot print money forever." Of course, Paul has been known to make similar calls in the past, but even as stocks continue to make new highs, he remains just as convicted as ever that there "will be a day of reckoning" that will lead to a collapse in both the fixed income and equity markets. "I think [the crash] is going to be much greater [than 10 percent] and it will probably go a lot lower than people say it should," said Paul. "I don't think it's going to be just a correction." Paul added, eventually investors will "lose confidence" in the Fed, and when they do, the market could witness a "very big crash." 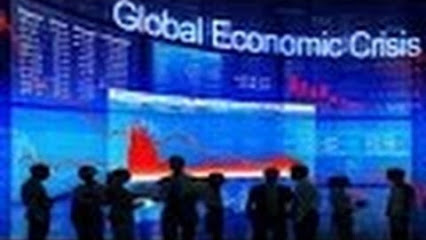 World Economics on the VERGE of DISASTER. READ all about WHY. 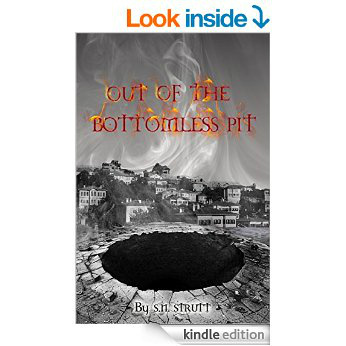 Hard-hitting new book by S N Strutt EXPOSES the CABALA behind it ALL. Anyway, seeing as “Finance” has the largest contingent attending, perhaps this is why the policies and their operation as explained by Max in the following makes sense!? Also read this op-ed, especially the section on the current (secret) “Trade Agreements”. These will have a DIRECT impact on the global population, whether we like it or not! Money MORE than “talks”, it’s how the world is RULED! Read it!